Sometimes glue - even the strongest kind - isn’t enough to do the trick. 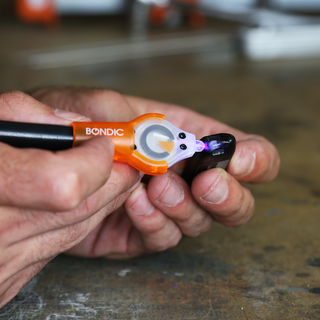 Bondic created the world’s first “liquid plastic welder” to help you fix even the toughest repairs within seconds. Normally $50, Jalopnik readers can get the complete Bondic Pro Kit for just $23 + free shipping. Bondic uses a liquid plastic that only solidifies when you apply UV light - it actually works a lot more like welding, but is as easy as gluing. The plastic is water and heat resistant, and can be molded, milled, filed, painted, polished, and sanded. The kit is small enough to take anywhere, and is a must-have in any toolbox. For just $23, you’ll get the Bondic applicator and UV light plus a 4 gram tube of liquid plastic shipped anywhere within the US. Hit the link below to learn more and grab yours today.